Hornby BR 4-6-2 ‘Golden Eagle’ A4 Class - Early BR. 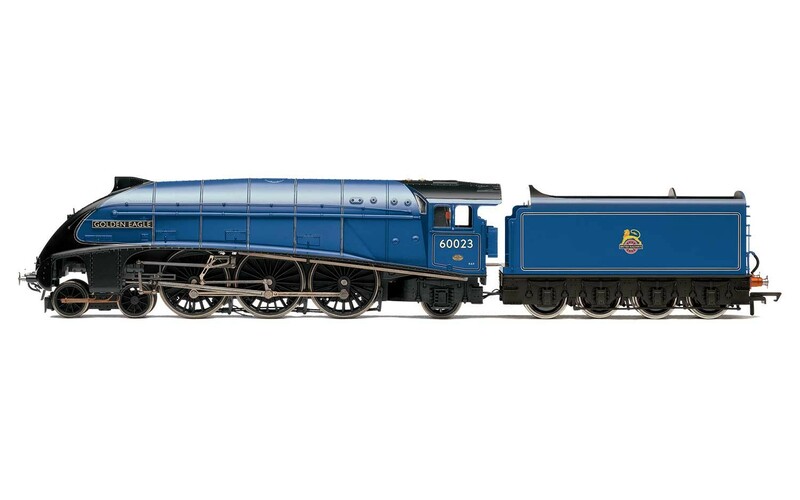 Class: A4, Purpose: Passenger, Wheel Configuration: 4-6-2, Length: 291mm, DCC Ready, Livery: BR Blue, Finish: Pristine, Motor: 5 Pole Skew Wound. Loco Drive.